Open Gorsedh Ceremony | Cornwall For Ever! 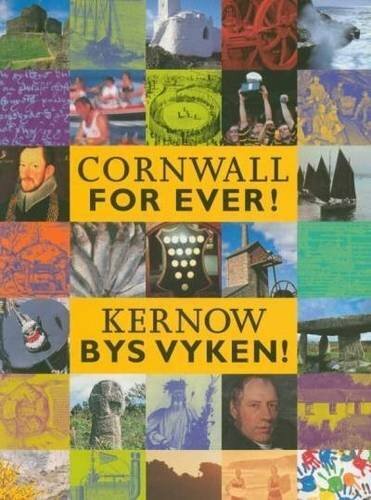 Gorsedh Kernow is one of Cornwall's most important cultural institutions, existing to “maintain the national Celtic spirit of Cornwall”. The Gorsedh is made up of Bards: men and women who have been rewarded for their contribution to supporting and promoting Cornish culture. Every year in early September the Bards of the Cornish Gorsedh meet to perform a special ceremony and appoint new members. This ceremony moves to a different place each year and first took place in 1928 at Boscawen-Un stone circle, near St Buryan in west Cornwall. Each Bard wears a distinctive blue costume based on the ancient druid’s costume from Celtic history. When they join the Gorsedh, new Bards choose a Bardic name in the Cornish language. The Open Gorsedh ceremony is held within a circle of both local and visiting Bards, with some coming from other Gorsedhs in Brittany, Wales and Patagonia. A local civic leader, often the mayor of the town, welcomes the Gorsedh. The climax of the event is the sword ceremony, where the Grand Bard (the leader of the Gorsedh) unsheathes a sword. Bards near the sword then place their hands on the shoulders of the Grand Bard, while other Bards break the circle and place their hands on the shoulders of the bard in front of them. They then swear allegiance to Cornwall.